Manufacturing – Bin Tippers integrate neatly with existing production lines, creating an ideal solution for dumping raw materials into Hoppers. Heavy-duty Bins make ideal collection points for metal shavings, plastic fragments, or other byproducts of the manufacturing process. Food Processing – There are numerous stainless steel options in these product lines. Designed for easy sanitation, these models meet all FDA requirements for food-handling equipment. Transfer ingredients in bulk using Stainless Steel Food Service Bins and Bin Tippers. Health Care – Medical waste carries particular handling and disposal challenges, but safety options for Bin Tippers keep the task virtually risk-free. The optional PET-G Operator Guard fully shields the user from Bins with transparent, unbreakable plastic. Choose an additional PET-G Cage for another layer of security. Agriculture – Lift trucks fitted with Forward Bin Tippers speed up harvests by allowing workers to pack fruits and vegetables directly into pallet bins. This is particularly helpful for crops that quickly lose quality if they aren’t processed quickly, such as wine grapes. Alcohol Production – Bin Tippers are not just used during grape harvests. They assist at later stages in the alcohol-production process, safely tipping mash, must, or other ingredients into different vats for fermentation. 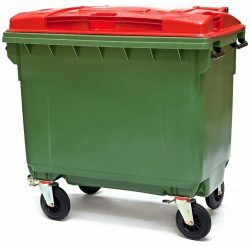 To learn more about Bin Tippers, Hoppers, and Bins from BHS, or to find your nearest dealer, call us at 1.800.BHS.9500.